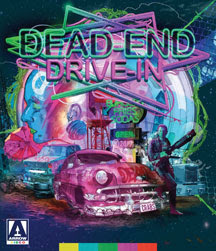 One of Quentin Tarantino’s favourite directors, Brian Trenchard-Smith was a key figure in the Ozploitation movement, responsible for The Man from Hong Kong, Stunt Rock, Turkey Shoot, BMX Bandits… and dystopian cult classic Dead-End Drive-In! Set in a near-future where the economy has crumbled and violent gangs play havoc in the streets, the powers-that-be have decided to lure the delinquent youth into drive-in cinemas and keep them there. No longer just a place to watch trashy movies and make out, these outdoor picture shows have become concentration camps for the unruly and unwanted. With its day-glo colour scheme, new wave soundtrack and extraordinary stunt work, Dead-End Drive-In is in the tradition of Ozploitation milestones Mad Max and The Cars That Ate Paris only very, very eighties. Complete product details, hi res art, etc. can be found HERE. Taking a detour whilst on route to Los Angeles, the Carter family run into trouble when their camper van breaks down in the middle of the desert. Stranded, the family find themselves at the mercy of a group of monstrous cannibals lurking in the surrounding hills. With their lives under threat, the Carters are forced to fight back by any means necessary. 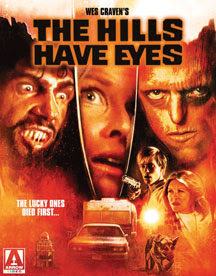 As grueling a viewing experience today as it was upon initial release, The Hills Have Eyes stands alongside the likes of The Texas Chain Saw Massacre and Night of the Living Dead as one of the defining moments in American horror cinema. THEY SLIME. THEY OOZE. THEY KILL. From celebrated Spanish director Juan Piquer Simon, the man behind the truly demented slasher flick Pieces (1982), comes a terrifying tale of mutant slugs on the rampage in small-town America. The townsfolk of a rural community are dying in strange and gruesome circumstances. Following the trail of horrifically mutilated cadavers, resident health inspector Mike Brady is on the case to piece together the mystery. He soon comes to a terrifying conclusion – giant slugs are breeding in the sewers beneath the town, and they’re making a meal of the locals! 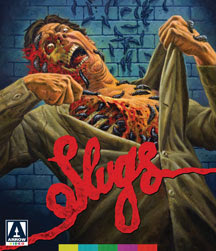 Based on the novel by acclaimed British horror author Shaun Hutson, Slugs outdoes its creature feature peers by adding an extra dose of gross-out gore into the equation, culminating in one of the most squirm-inducing animal attack movies ever to slither its way across screens. This entry was posted in Press and tagged Arrow Video, dead end drive-in, horror bluray, slugs, the hills have eyes, wes cravin. Bookmark the permalink.